Manchester United have reignited their interest in Napoli defender Kalidou Koulibaly. The 27-year-old has been largely impressive since his move to the Serie A outfit from Genk back in 2014, having already established himself as one of the best defenders in Italy. His game consists of enormous strength and pace, which enables him to dominate almost all his opposing forwards when it comes to power as well as speed. Naturally, his talent has attracted interest from all across the continent, with several clubs, especially from the Premier League, showing consistent interest in his services. Merseyside outfit Everton was heavily linked with a move for the Senegalese international, and the Toffees even submitted a €50m bid for his signature last year. 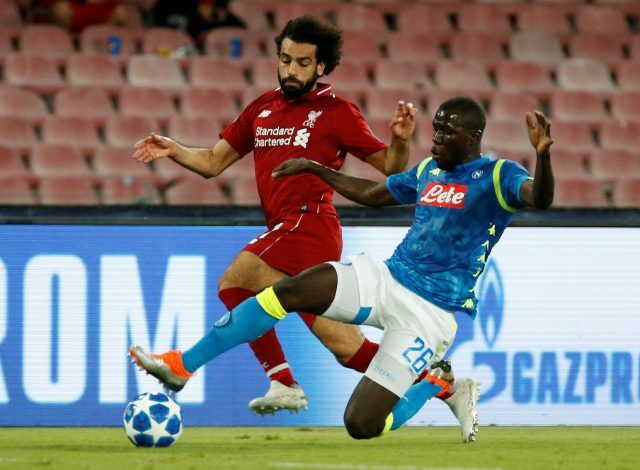 Further, English juggernauts Chelsea and Manchester United also registered their interest in Koulibaly, with one of them supposedly submitting a €100m offer that was eventually turned down, as confirmed by Napoli president Aurelio De Laurentiis. However, the Mancunian giants seem to have retained their interest in the centre-back. According to Duncan Castles of the Daily Record, the Red Devils are once again eyeing a move for Koulibaly. Thanks to his far from perfect back-line, Jose Mourinho has been hoping to sign a central defender since the summer of 2018, but none of his defensive targets were successfully brought in by the club hierarchy throughout the entire transfer window. But the Portuguese tactician appears to have remained hopeful, and has now proposed a move for the Napoli superstar. Whether or not this transfer will actually materialise, however, remains to be seen.